Blue in the Red House is a hybrid memoir/magic realist novella from debut author Sarah Madden, which recreates her experience of being diagnosed with Autism at age 34. Through the journey of Ms De Beer, Madden reimagines her sensory perception of the world around her and her place within it. In fiction, Madden illuminates the truth in ways that strict facts often cannot manage. All the drama of nature and humanity is vividly recounted in this collection of nineteenth-century Australian Christmas stories. This is the second title in a series from Australian National University associate professor of literature Katherine Bode's astonishing bibliographic index and full-text archive of fiction in Australian newspapers from 1803 to 1955. The Singed Sisters are a group of women whose houses burned in the 2003 Canberra bushfires. This book tells their stories of devastation and recovery through the tears, laughter and recipes that helped them rebuild their homes and their lives. Catherine Martin’s loyal, wilful and feisty heroines traverse the terrains of romance in Italy, Switzerland and Australia in these nineteenth-century tales of manners. 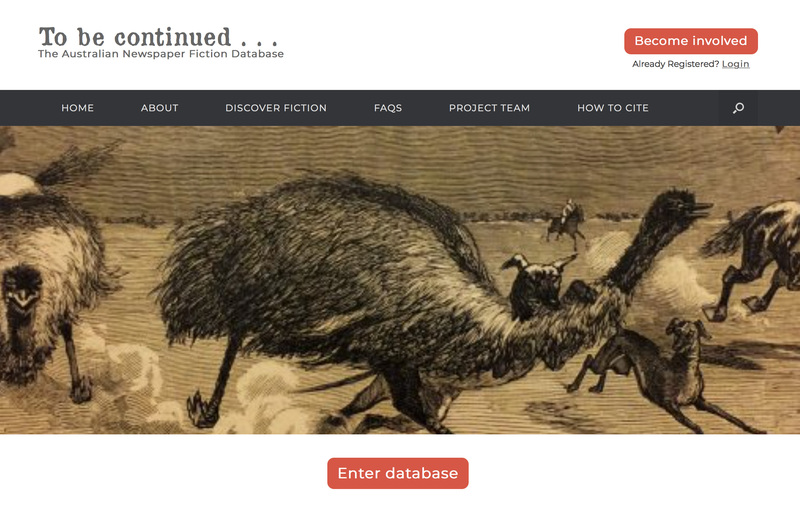 This is the first title in a series from Australian National University associate professor of literature Katherine Bode's astonishing bibliographic index and full-text archive of fiction in Australian newspapers from 1803 to 1955.